LAKELAND, Florida -- Officials say a 4-year-old girl will be reunited with her family in Florida after she was driven to Tennessee by a man who took her from her home. Memphis, Tennessee, police found Rebecca Lewis just after noon Monday after receiving a call from Baptist Memorial Hospital-Memphis. An employee recognized the child and 31-year-old West Wild Hogs from an Amber Alert out of Florida. When officers arrived, they saw the car mentioned in the alert pulling out of the garage. Police spokeswoman Karen Rudolph says the pair was inside and the girl "seemed to be OK."
Polk County Sheriff's officials say they're not sure what time Rebecca will arrive home. Police did not know why the man and girl were at the hospital. Rudolph referred questions on possible charges to the FBI. Polk County Sheriff Grady Judd said during a news conference Monday that Hogs took Rebecca Lewis on Saturday. They were previously spotted on surveillance video footage at a convenience store in Nashville early Monday morning. Earlier, Judd pleaded with the public to help search for the girl. "I'm not above a bunch of good old' boys grabbing that 4-year-old girl," he said. Hogs is a friend of Rebecca's family but had not seen the family in more than two years. He was asked to leave the family's home more than two years ago after pulling a gun on the family. A park ranger reported seeing a child matching the description of Rebecca in the area of Cove Lake State Park sometime between 10 and 11 p.m. Sunday. An Amber Alert was issued. The ranger didn't recognize Hogs until hours later, after a missing person's alert was issued. By then Hogs was gone. Judd appeared upset with Tennessee law enforcement for refusing his office's request over the weekend to issue an Amber Alert. Still, he praised Tennessee authorities and others, including the FBI and the Florida Department of Law Enforcement, for their assistance in tracking Hogs' movements. 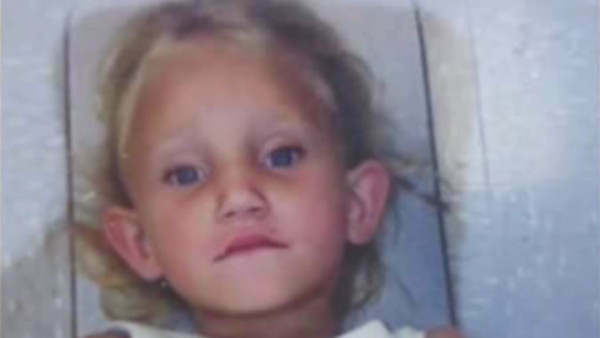 By the time Rebecca was recovered, Florida, Georgia, Alabama, Tennessee and Kentucky had issued Amber Alerts for the girl. Hogs, who changed his name from Matthew Clark Pybus, once lived with the girl and her relatives. Relatives said Hogs had shown signs of depression and bipolar disorder. Several agencies were looking for him on kidnapping charges. He drove off with the child in a car he stole from his mother in Alabama, which is where he was originally from, Judd said.